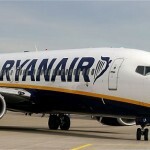 Ryanair promotional sale - flights from €2/£2 on selected routes! Cheap flights from London to Thailand (Phuket, Bangkok, Chiang Mai) from £278 return! This Ryanair promotional sale is running today only and we suggest the lowest fares will be available for just next few hours! To check full list of discounted routes, for further details of this promotion with Ryanair or in case of booking just follow here directly to website of the airline. Look for flights in travel period in December 2018 or January and February 2019. Booking sample with Ryanair for just £2 one-way below. In this case you would fly from Frankfurt Hahn to Palma de Mallorca on 12th of December. Your return flight would be on 14th of December 2018. As long as you can travel only with hand luggage you would pay amazing €4 for a round trip flight!